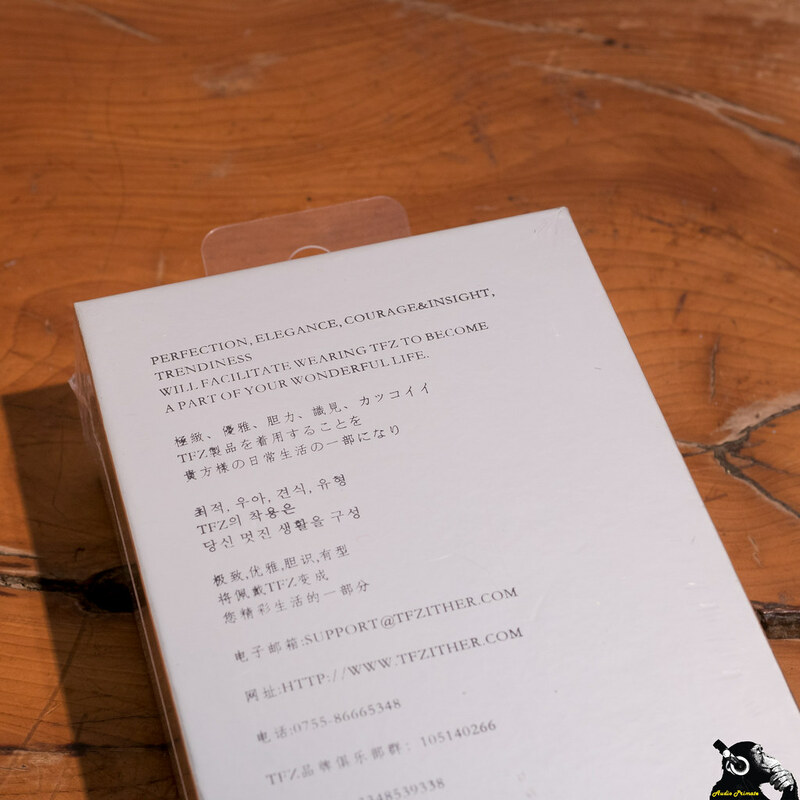 The TFZ Series 2 was provided by Penon Audio. I do not have to return the IEM. I have not been compensated. The opinions presented are my own. The box is long. It’s so long that I couldn’t fit it in a reasonably sized image. It has some interesting elements. What the heck is ambilight (this, apparently)? What is the name of the company even talking about? The Fragrant Zither (TFZ), leaves me clueless, clutching at straws. Does the name mean MADNESS!? —Excerpt from Kubla Khan, by Samuel Taylor Coleridge. Inspired by an opium dream. First, I like the package. It’s idiosyncratic. A big oblong sucker. I do wonder if they tested the text with a western audience, though. Weird ad-lines on the back too. These, maybe aren’t so weird in Chinese. Inside the box we have the earpieces in a plastic square settee. It holds them fine. The earpieces themselves, in my case are a lovely wine red. They appear to have some porting at the bottom of the shell, which is probably wise given that inside these is a 12mm graphene composite coated single dynamic driver. As can be seen in the picture, they also come with detachable two-pin cables. 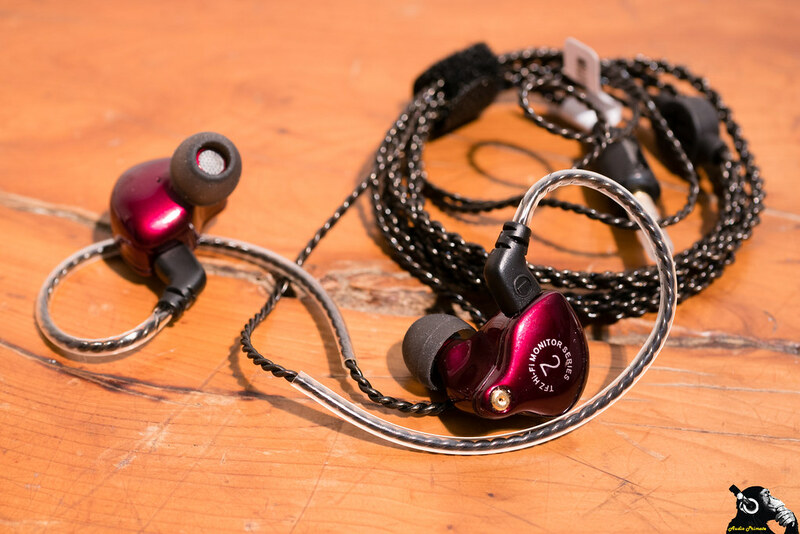 Unlike KZ IEMs, these budget friendly TFZ IEMs use the universal 0.78mm pin size, so you can get basically any 2-pin cable and use it with these. However, at this price, I think most customers will stick with the included cable. About that included cable, it’s okay. It’s a black, double twisted (not braided, that’s different) cable with decent size, and good connectors at the earpiece side. The earpieces have pin connector that is just a little ways out, so the cable has a sleeve that goes around the little nub sticking out of the earpieces. This is good design and should lead to a more mechanically stable connection. On the other end, the plug is fat and chunky with a very small extension that won’t allow it to plug into any phones with more than the thinnest of cases around the headphone jack. This is dumb. If they’d done 3mm more, they’d be fine for every cell phone case, basically. I have intermittent connections on my LG V30 because the plug fights with my thin TPU case. On my old phone with a more robust case, I couldn’t use the TFZ Series 2 without the case off. The cable has no microphone, and a pretty standard y-split. The inclusion of a cable wrap is welcome. 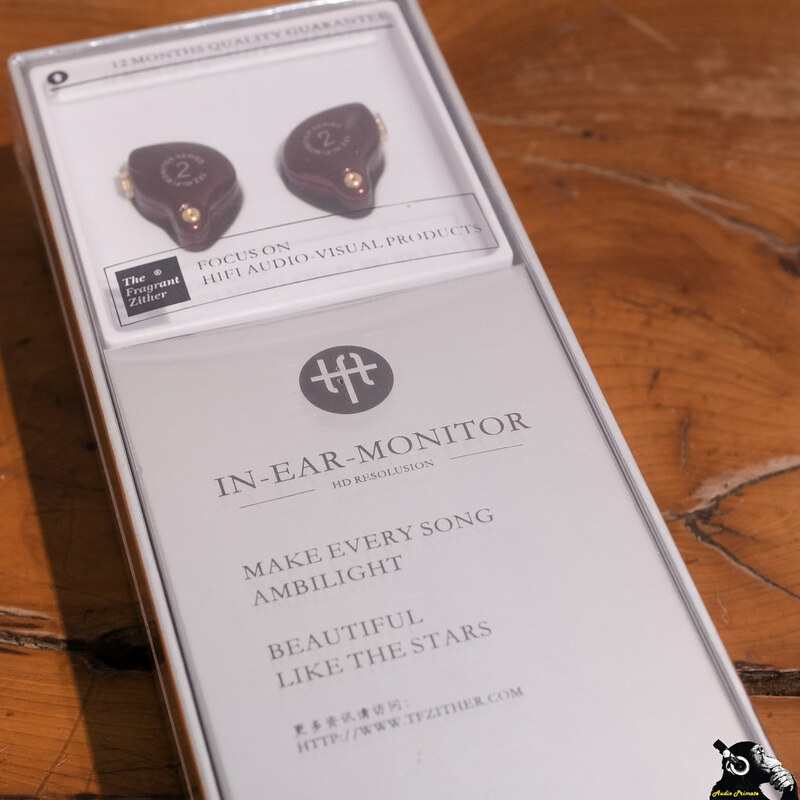 The earguides are lightweight and comfortable. The way TFZ does these earguides is actually how I prefer it done. Good on ya! The nozzle of the earpiece has a metal grille rather than a metal mesh, which should be resistant to damage. I’ve accidentally poked metal meshes in the past, and I can tell you that a glued on metal mesh is not easy to repair and the empty bore behind it looks terrible. This approach is better. The other accessories are alright. You get six pairs of silicone tips (no foamies). You get a soft pvc pouch with their logo on it and a clothes clip. I would have preferred a more durable case, but I’ve beat that drum enough. 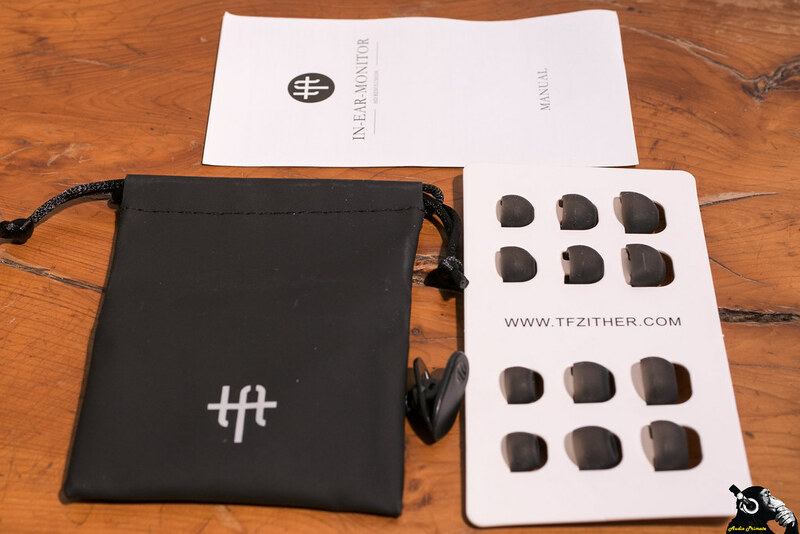 The TFZ fit fine in my ear and the cable is comfortable. The included tips work fine. Good to go! I thought I was good to go. When I went to do my full on sound impressions I lost sound in my left earpiece. I switched to a different inexpensive 2-pin cable, the one that comes with the Shozy-AAW Hibiki Mk.2. 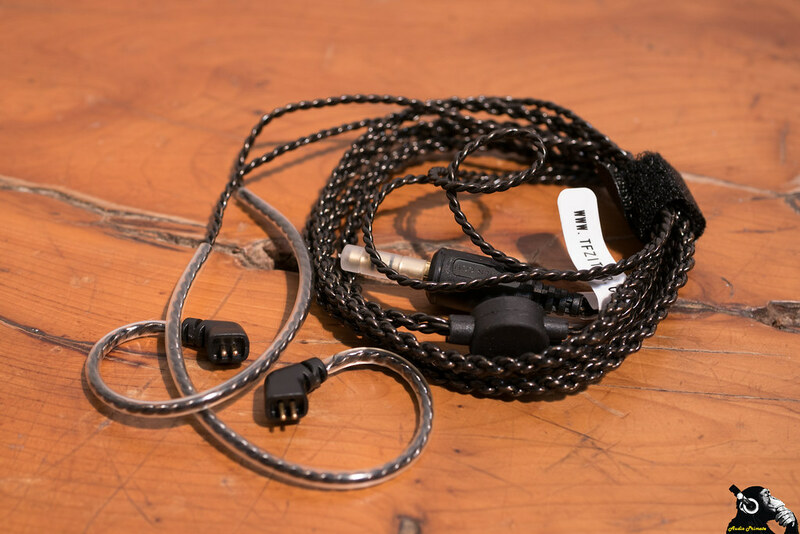 It’s an inexpensive and good cable from an IEM in roughly the same price range (about $60). I think the cable is actually an improvement sonically, more body. It’s unfortunate that the cable that came with the Series 2 was not terribly well made, it will definitely affect the rankings. 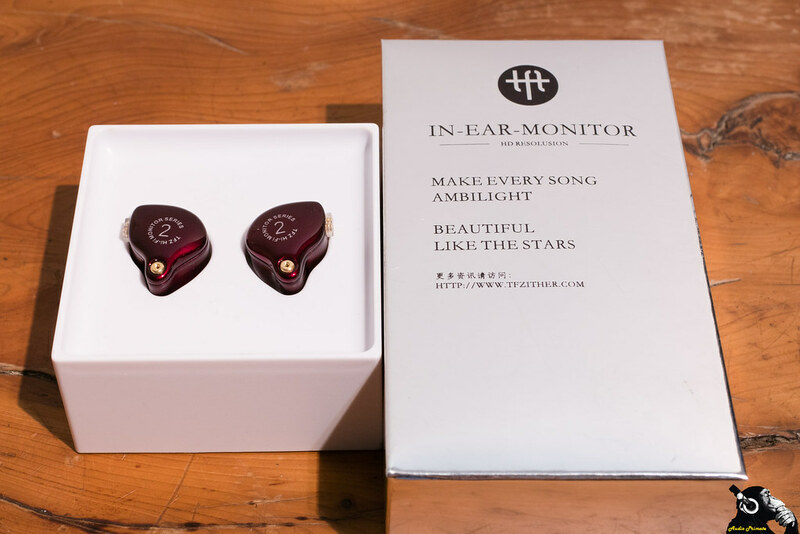 Since I’m not buying two of any of these, and neither are most consumers, observations about burn in are anecdotal at best, so if you want to do it, at least control some things, like your own perception of the IEMs. Don’t give yourself enough time to get used to them. The sources for listening were the HiBy R3 and LG V30. 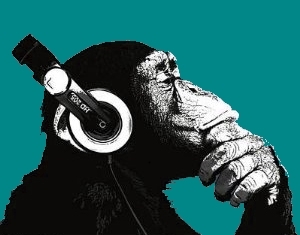 I think most folks would be listening out of affordable players or their phone. The LG V30 is widely regarded as one of the best, if not the best, sounding phone. The HiBy R3 has a touch-screen, Bluetooth & WiFi, Tidal, a good form factor and great sound at a very good price ($239). As noted above, I had to switch cables due to what was likely a soldering fault on the 3.5mm jack, so these impressions aren’t pure. Beck – Salt In The Wound is vivacious with groovy bass, some nice maraca percussion and pointy guitars. There is a nice delicate breathiness to Amber Rubarth – Washing Day in the vocal department with a touch of inviting warmth, but the bass is a touch soft and slightly recessed. On Amber Rubarth – Tundra the stage gets very slightly outside the ears and depth is okay. The Series 2 doesn’t have a huge soundstage but it is very respectable at this price level. The speed and precision of Animals as Leaders – Lippincott is handled fairly well with only a little bit of blending in really complex portions partly due to slightly shallower depth than the stage in the track. Good performance for under $50. The guiro on Blue Oyster Cult – (Don’t Fear) The Reaper is a touch recessed, along with the rest of the vocal. Guitars are less energetic than the track normally puts out. The differences are only slight, but enough for me to notice. The sound is slightly easy going, a bit less vigourous than expected. This will appeal to some, and not others. The bass on The Shins – Sleeping Lessons is a bit forward and midbass centric with a bit of emphasis and longer lingering. The lower octaves of the bass notes don’t show up in full. The treble doesn’t reach the extension of the track, easy going, as said before. The resolution on the cymbal crashes after about 2:30 is good, not splashy, not tinny, nicely done. Mambo Sun by T. Rex is a simple track, with an easy grooving energy. The energy is a bit more easy going on the Series 2. Tone edges are softer and smoother. Guitars less crunchy. The overall tone of the Series 2 is relaxed with slightly recessed mids, slightly raised and midbass with expanded decay, and a little bit of energy taken off the upper treble. This makes the Series 2 an easy listen for just melting into the music on your daily grind. 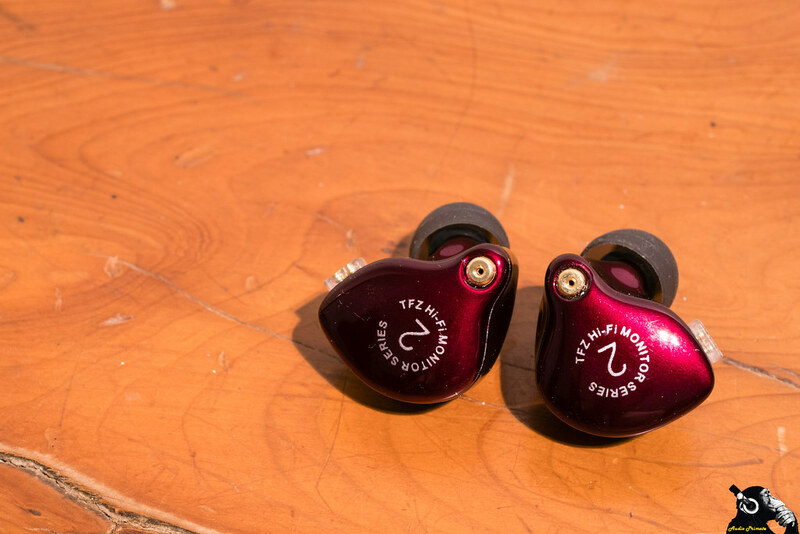 These aren’t stand up and take notice v-shape in-ears and they aren’t neutral reference either. These are warm, soft and tuneful. They are nice. I’ll be contacting my local distributor to see if I can borrow them. It should be possible. Any chance of having a wildcard Advanced M4 thrown into the mix?